Plaid – one of the most timeless patterns in modern fashion and design. Every year, regardless of trends, plaid always is a major force for fall and winter events. But what about when the seasons change? With the holidays now behind us and warmer days slowly breathing life into these chilly months, we are loving the working plaid into a fresh new season and pairing it with the most renewing backdrop: the beach. 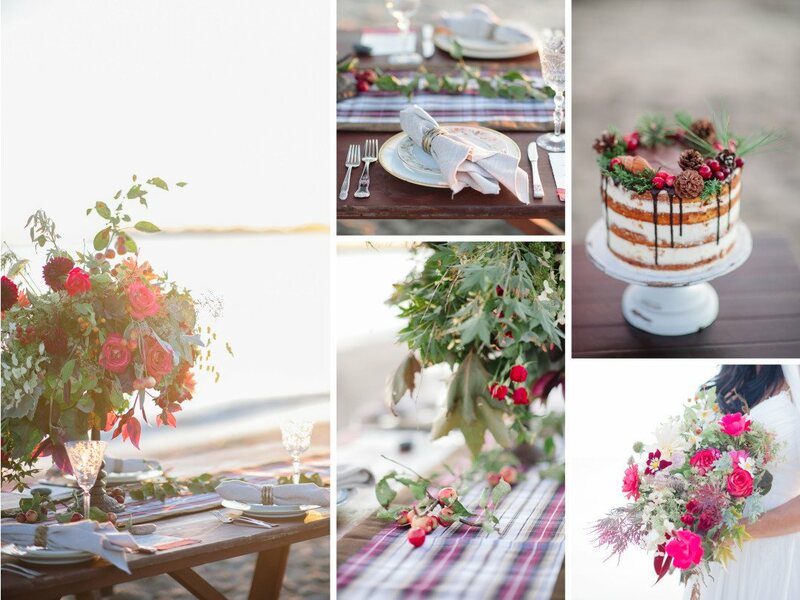 This cozy seaside concept was breathtakingly executed by Kelsey of Kelsey Rae Designs. She assembled an A-Team of awesome visionaries in Connecticut to create what you’re about to enjoy. 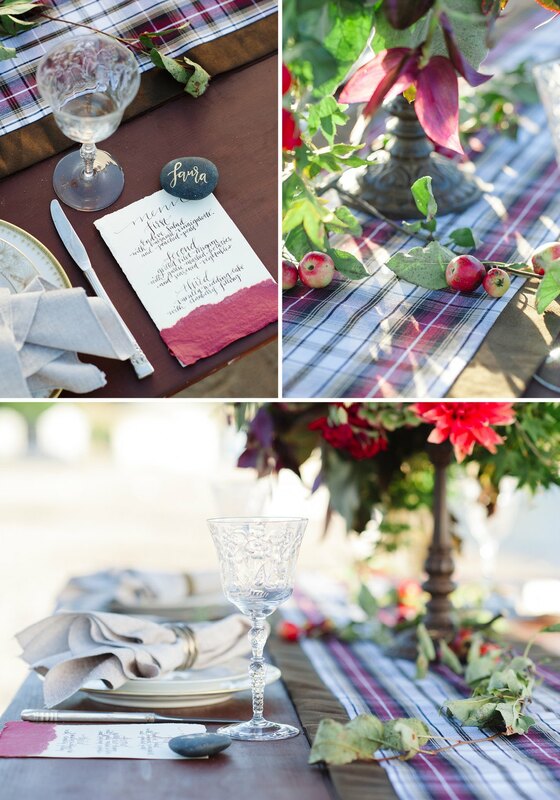 Pairing vintage china and stunning red & fuchsia florals with our Khaki, Wine & Black Plaid Runner and our Flax Metallic Burlap Napkins on a rugged farm table, Kelsey created a true winter escape. 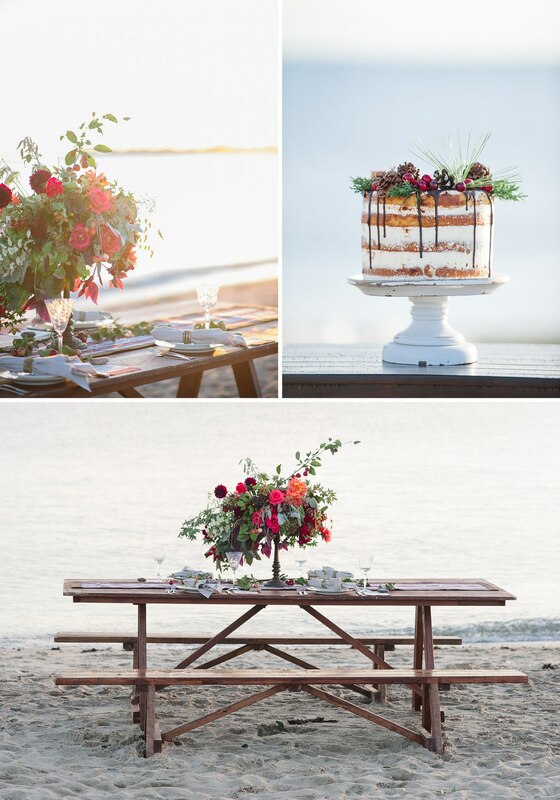 “I’ve been traveling back and forth from Southern California to Connecticut, and I was inspired to pull together my favorite east coast vendors to do a shoot on the calm beach of Fairfield, CT during my last trip back east for the year. I partnered with Brooke Allison Photography to bring a unique twist to a winter shoot. 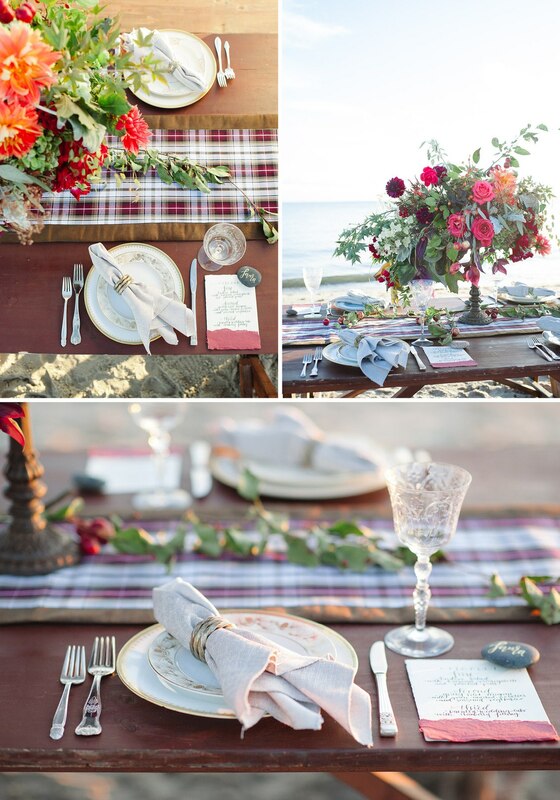 We wanted to incorporate plaid with hints of ocean elements. Our bride model gleamed in a JLM Couture gown from A Little Something White Bridal Couture, while our male model posed in plaid. I used a Southern California calligrapher, Louise Letters, to showcase her modern hand letting with an invitation suite and reception stationery that gave off a fun and youthful vibe. 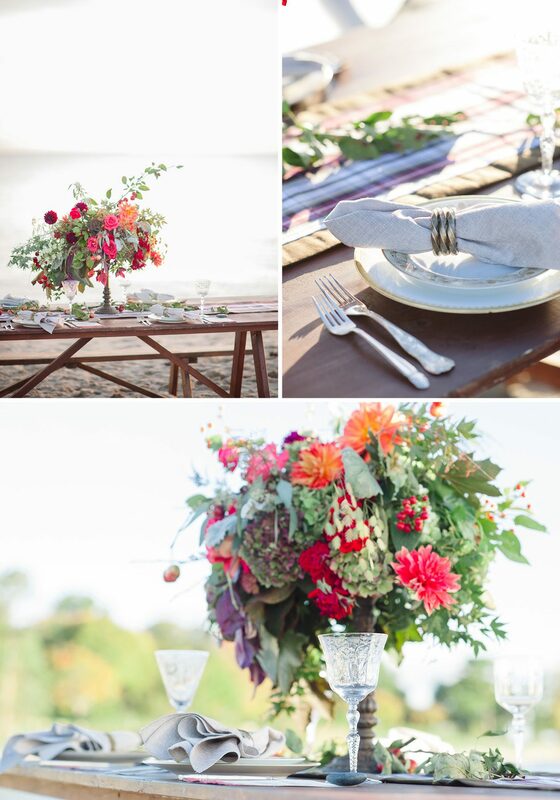 The florals blew me away! Carrie Wilcox is one of the most talented women I know and the way she arranged the centerpiece and bouquet, just left me breathless. 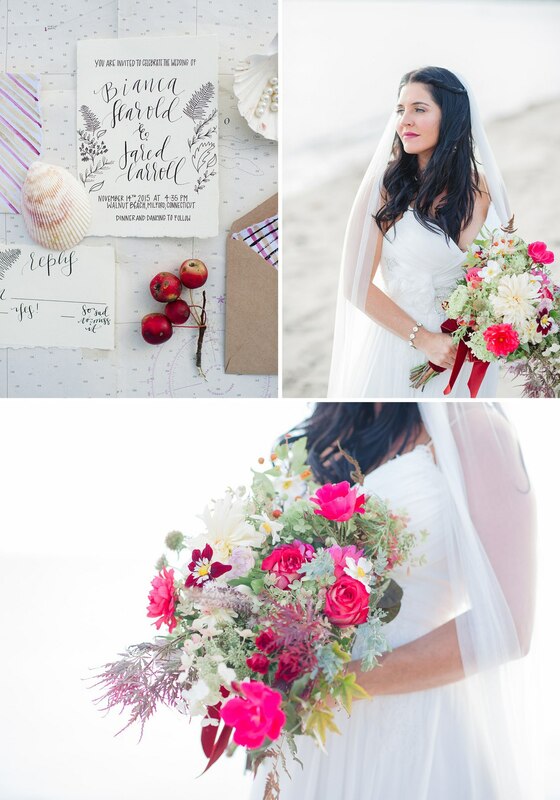 She tied in vibrant colors and also included hints of berries- two opposites that seemed just to work. Atlanta – the striking scenery, the small-town charm in a major metropolitan hub, the born and bred polish with big city edge, and of course the 2016 Anne Barge Fashion Show this week! It’s an amazing opportunity for us to see the latest trends coming up in bridal dresses for 2016, which couldn’t be more exciting! Designing one’s dream wedding often begins with a beautiful dress. Returning to plan this year’s event, after planning last year’s successful inaugural show, is Suzanne Reinhard. 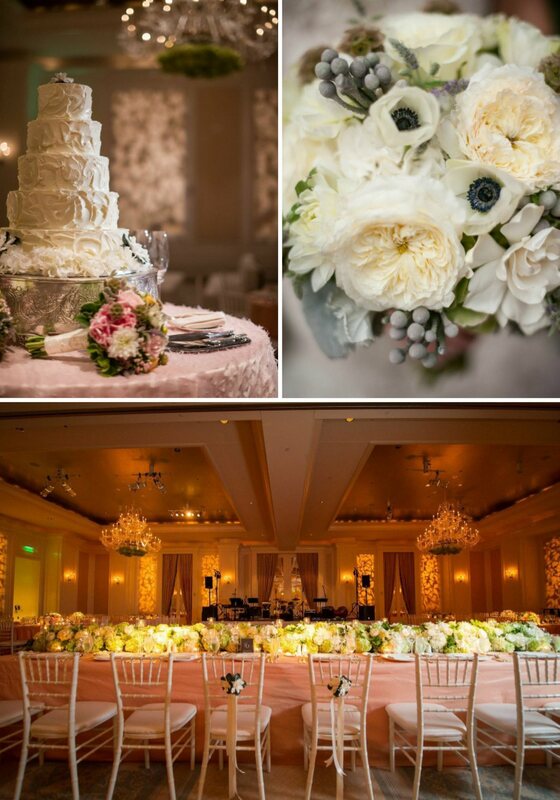 Her philosophy of “Creating Luxury From Love” has manifested in some of the most memorable weddings in Atlanta. 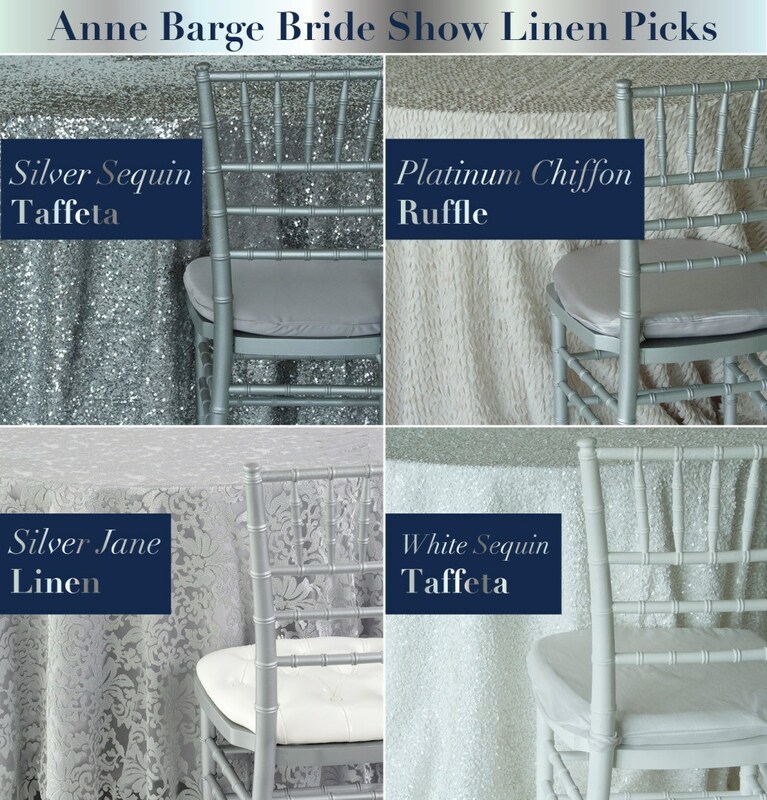 Coupled with Anne Barge’s latest collection, inspired by the “gardens of France,” this not an event to be missed! 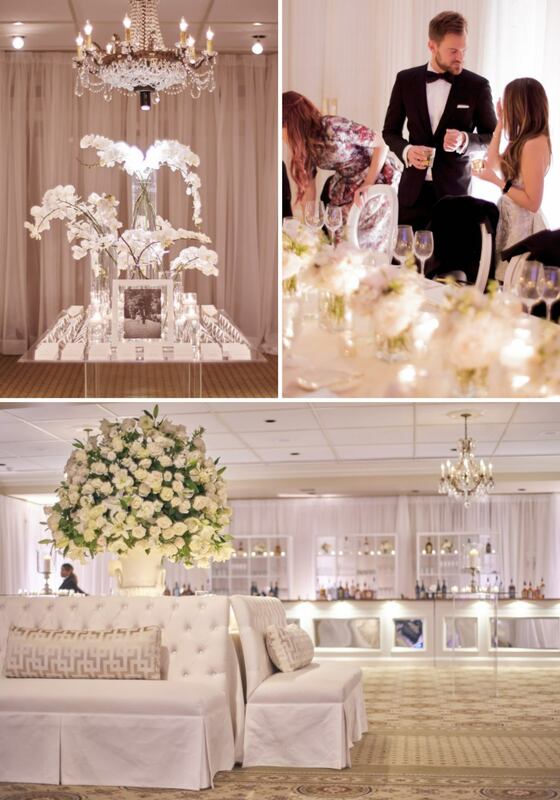 Suzanne is a planner who is known to always go above and beyond for her clients, turning even the smallest special details about her bride and groom into something spectacularly unique to be shared with 250 of their closest friends. 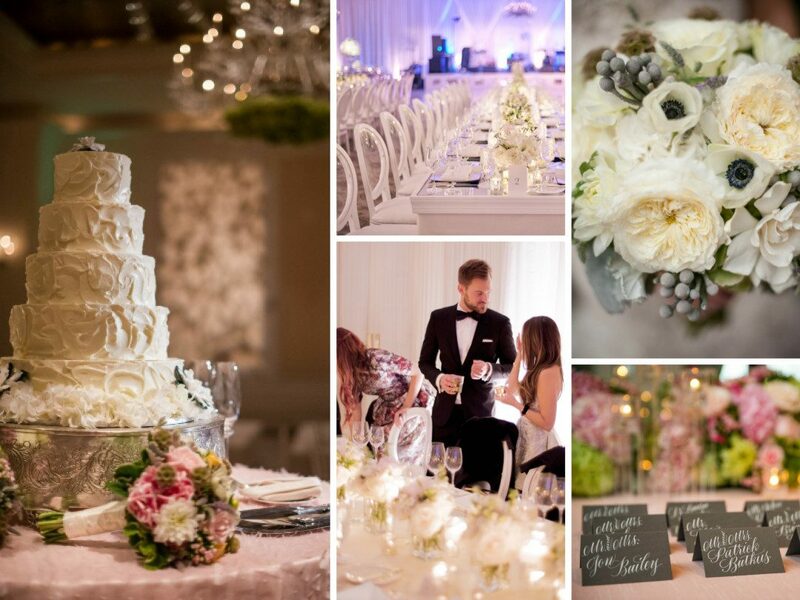 She makes every single wedding that she plans a one-of-a-kind experience. Not to mention how she consistently raises the bar in the epicurean arena! There is also no one that understands Atlanta better than Suzanne, who believes that southern style encompasses three key elements: beauty, warmth, and sophistication. With a major vision of turning this fashion show into an annual experience akin to NY Bridal Fashion Week, we decided to sit down with Suzanne to chat about her experience and philosophy in the weddings and event industry. 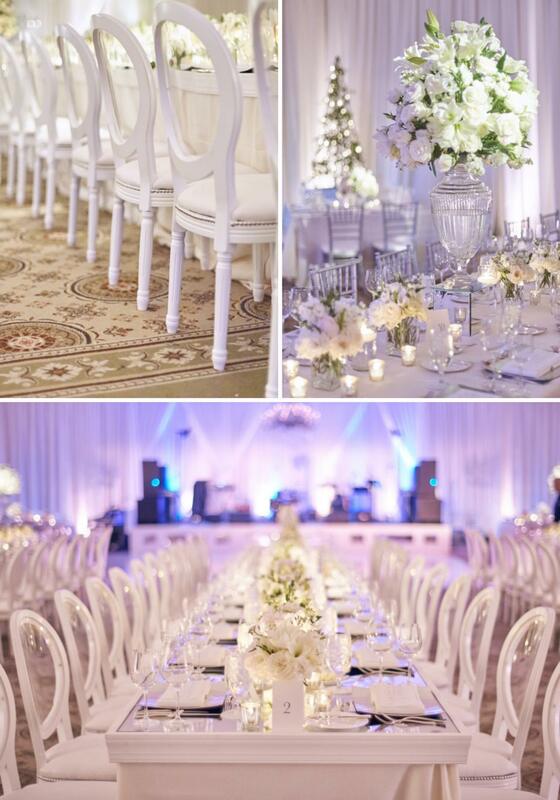 Check out some more of Suzanne’s stunning weddings, featuring our linens, below! A table design truly is a work of art and we can’t think of a more accurate example of this than with this table design inspired by the French Impressionism movement, which derives from the title of a Claude Monet work, Impression, soleil levant. 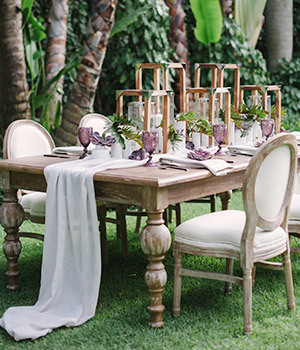 With winter officially in full force, we are lost in dreams of warmer days ahead of us. 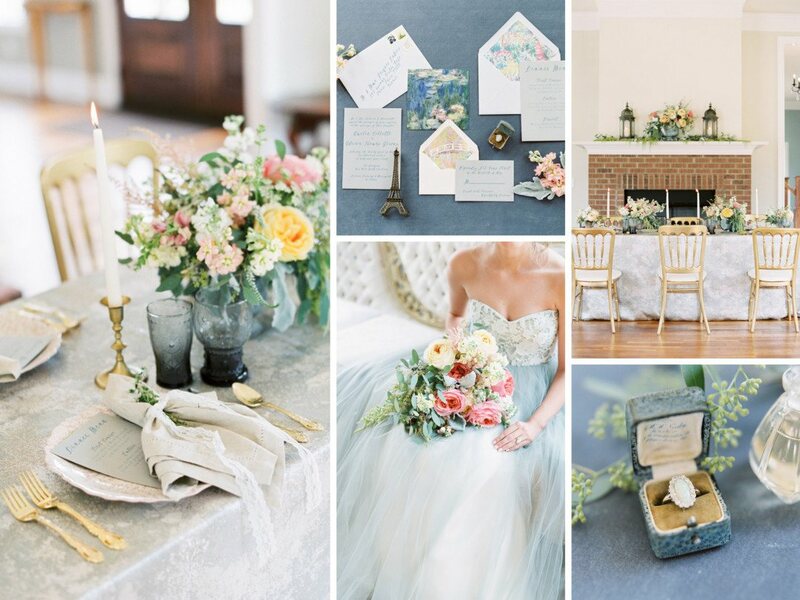 That’s why this week we’re all about embracing soft textures, abundant garden blooms, and vivid use of a pastel color palette with this French Impressionist inspired wedding shoot. 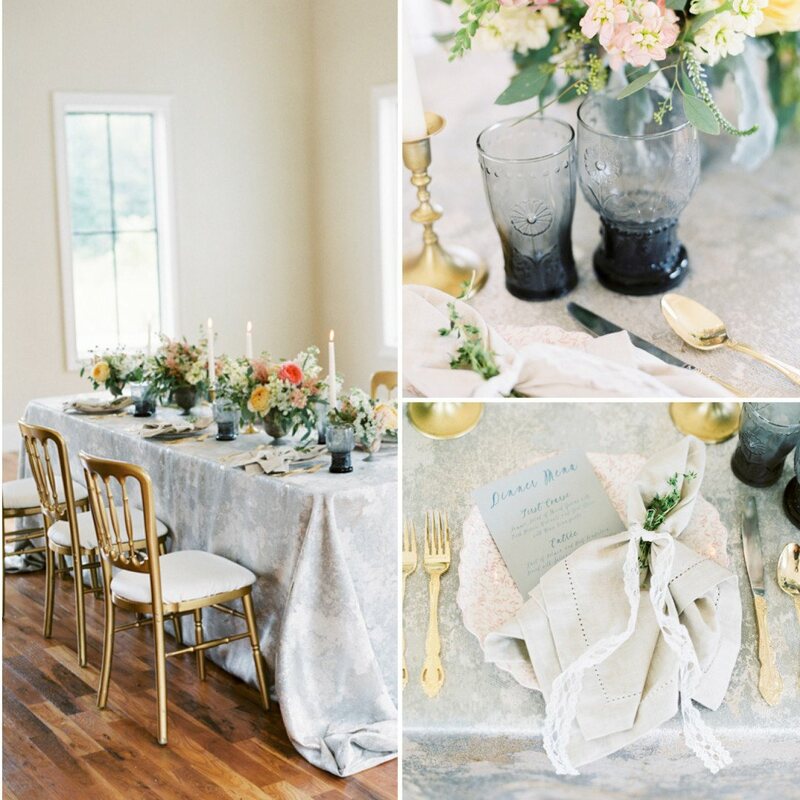 The super talented Emily March Photography and Rebecca Rose Creative created a stunning styled shoot inspired by the 19th century art movement, which means lots of soft textures and pastel shades that come together like an artist’s dream. 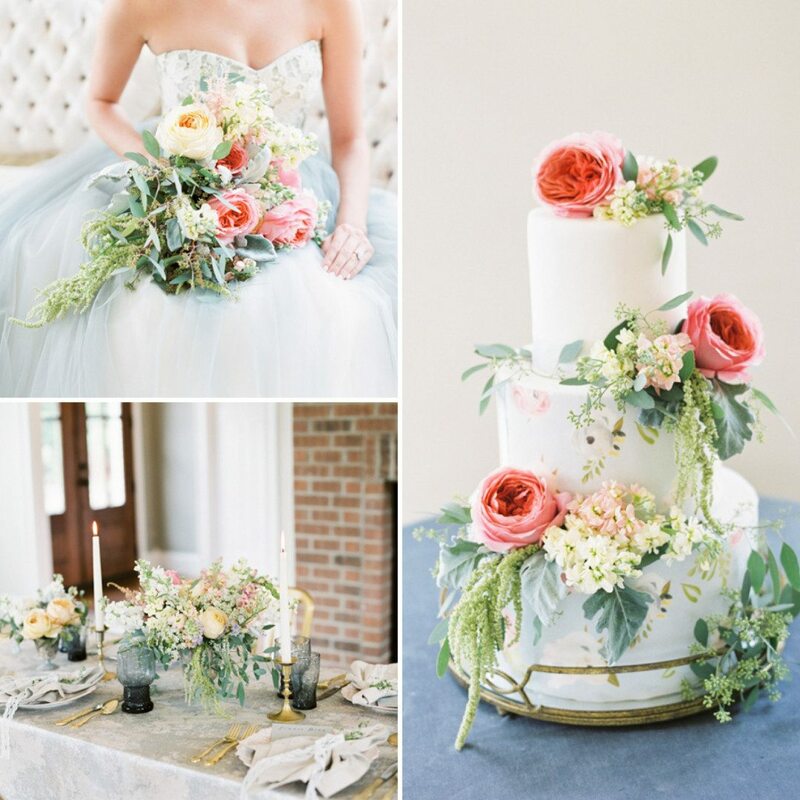 This shoot was inspired by the beauty of 19th century French Impressionist artwork. 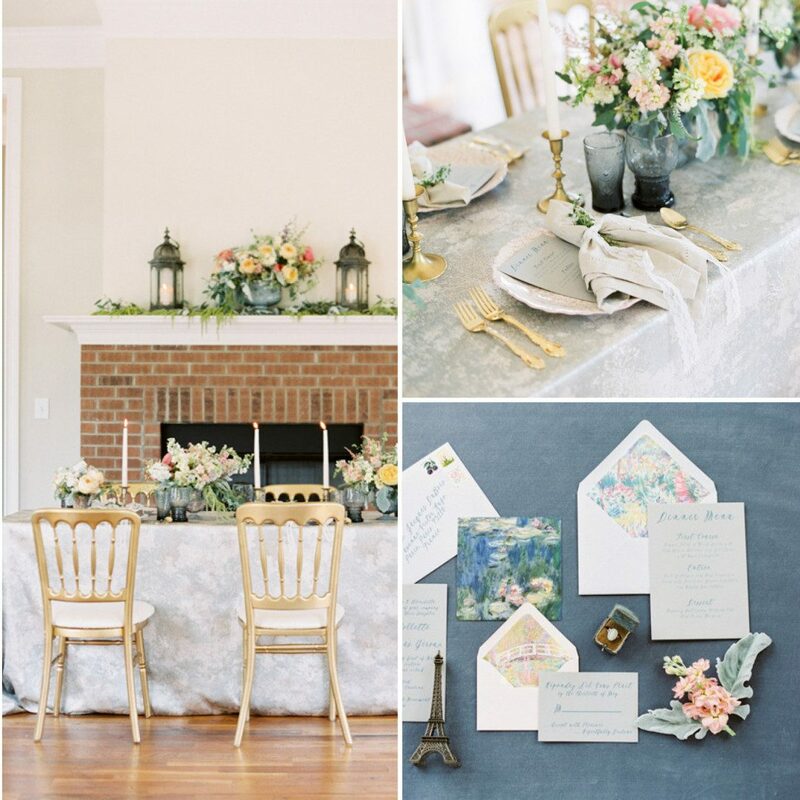 In designing these wedding ideas, we strove to give a modern take on French Impressionism, which is always characterized by soft textures that blend together, abundant garden blooms, and vivid use of a pastel color palette. The gown, by Elizabeth Dye, quickly became the perfect element of inspiration, with its classic, romantic silhouette and unique blue-gray tulle overlay. Artwork by Monet lines the envelopes on the invitation suite and the colors, textures, and details of a French garden party are recreated for a modern elegant dinner setting. 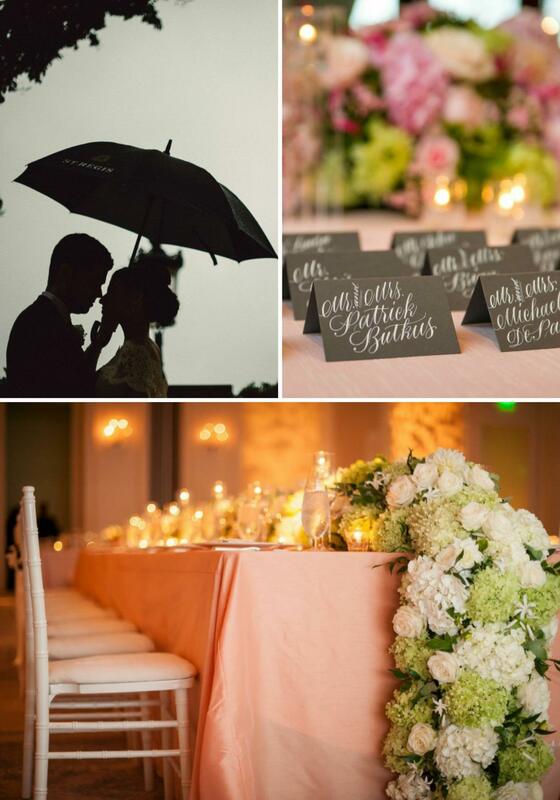 We just can’t get over all the beautiful little details! 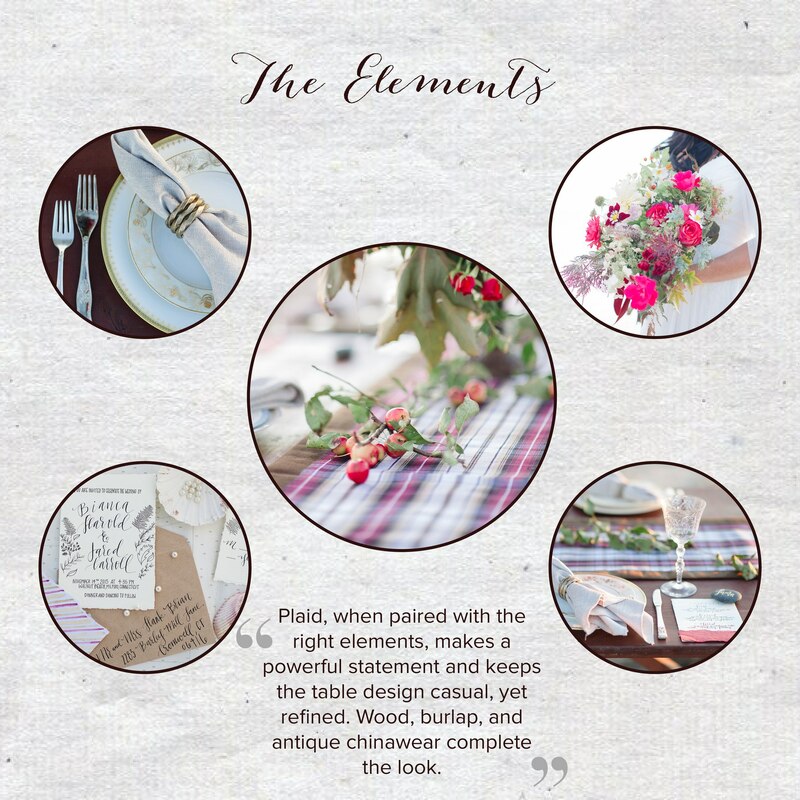 From the styling of the napkins to the beautifully handcrafted stationary, this shoot was truly a work of art. 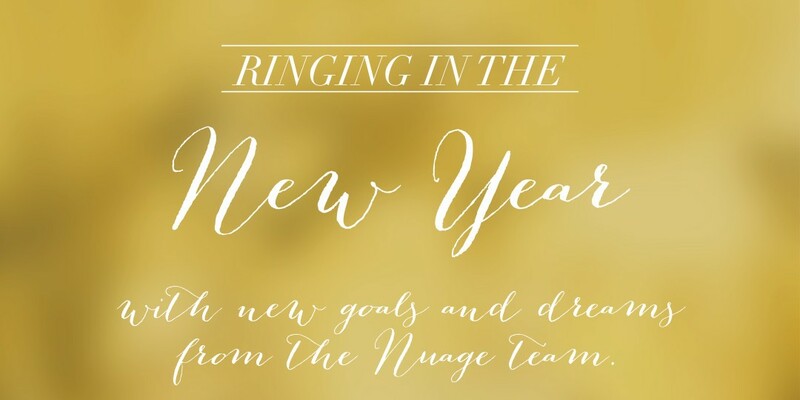 New Year, New Goals, New Parties! 2016 is finally here and we’re just so excited about all the new opportunities, new goals, new looks, and, above all, new parties that await! 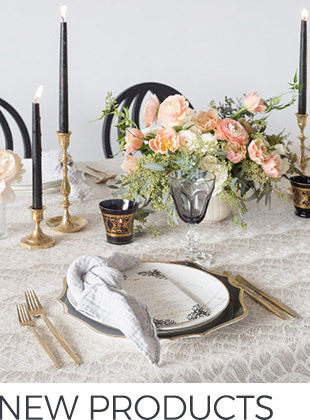 That’s why this week we decided to sit down with a few of our team members to chat about what they’re looking forward to accomplish this year as well as what linens they look forward to using in 2016. From finding inspiration in the Mediterranean islands to the Pantone Color of the Year, we just can’t wait to see their top picks in action this year! What linen are you most excited to use in 2016?